Impact Summit’s Dealership Success Guide combines true leading-edge sales team development training with enhanced customer relationship building skills. It provides you with the best of our nationally recognized training programs as an all-inclusive sales course that shows you step-by-step how to train, inspire, and develop your sales professionals and management team into a powerful entity. The Dealership Success Guide hits on all the cylinders required to grow the dealership by developing strong, well-trained individuals. You will be able to measure and actually see the ‘impact’ this Dealership Success Guide will bring to your store by way of increased floor, phone, Internet business, gross profits, customer relationships, team synergy, leadership, and finally, overall business development. If you have any questions, send Chuck an e-mail. Develop your Greatest Assets If you could invest a very small percentage of your advertising budget for just one month to grow your store and your people to measurable new levels of professionalism and increased business, would you? Dealers who have readily admitted that this small investment is doing more for them than the thousands of dollars they have been spending on advertising. Why? Because advertising is short term and developing your greatest assests, your people, is long term and this is where growth occurs. The Dealership Success Guide allows you to now have the best “In-House” leading edge training curriculum to use right in your store. Now, your management team, who knows your sales team best, can train them on a more comprehensive and frequent basis for a fraction of the cost. After spending many years as an executive and studying Corporate American successful sales principles while actually growing a multimillion dollar company, it became apparent that these same corporate principles could be utilized in the automobile dealership for greater growth potentials. This Success Guide is miles ahead of the ‘old school’ training methods still used today. Instead, the Dealership Success Guide incorporates leading edge 21st Century sales techniques unparalleled in today’s automobile training agendas. This innovative training curriculum enables you to maximize your team’s full sales potential and efforts in growing their business and make a positive impact on your dealership from day one. We will also show you how to build Business Development Increases as well as Leading Edge Sales Process Development. The program is broken down into components, or base camps, each preparing you for the next altitude level of success. The total experience will expand your team’s skill-sets, increase their confidence, and facilitate your future successes, frankly, better than any training endeavor available. Much like a mountain climbing expedition, the Impact Summit Dealership Success Guide will elevate your store to new heights of success. 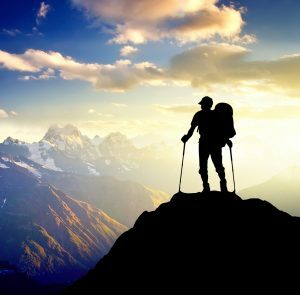 And while the success view from the top of the mountain is breath taking, it is only made possible by having the right curriculum for the climb, proper tools and equipment, leading edge principles, and a “guide” who is taught the mountain like the back of his hand. We show your leader how to be the best guide for this increased business climb step by step with support material on a special web site as well as communications with Chuck Barker directly helping you along your journey. However, it is important to note that anyone can travel to the Himalayan mountain range and start hiking. The only problem is that without the “proper and innovative” equipment, training, and guide, the trip will ultimately end in disaster. Given this inevitability and its application to the automobile business, the Impact Summit Dealership Success Guide program is designed to enhance the assurance of your success by providing you with the best materials, training, support, and insight you will need as you climb the success elevations you will experience in this dynamic industry. 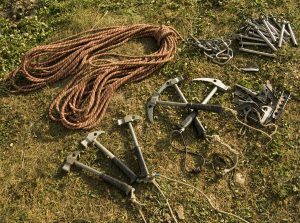 Below is an in-depth look into a few components, detailing how and why it will foster your increased business opportunities and training expedition experience. The pre-climb check list is the first step in the process. Make sure you and your management team does indeed want to grow the store. If you are in agreement on this growth then you have to accept the fact that in order to grow the store you first have to grow your sales team both as a team and individually. 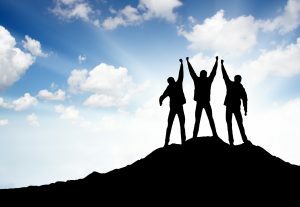 Just like in climbing, we look at participants to make sure that they can and want to be successful. Much like the physical ability before an expedition, there are specific signs that a person will be able to complete the rigors of the training, adaptability, and exposure to an industry. With that said, a person’s gender, age, or ethnic-background have no bearing on their fitness for, or success in, the climb. Anyone willing to seek a higher altitude in their life and willing to climb towards the summit has the greatest opportunity to join us! Interpersonal communication refresher – this course is designed to build comfort, confidence, and techniques to communicate effectively over the phone, via e-mail, and in person. The basis for selling yourself. Introduction to communication adaptability – part one of the behavioral profiling series. The course lays the foundation for communication adaptability through introduction of the two decision method. After completing cross-training, we begin the new leading edge training components. 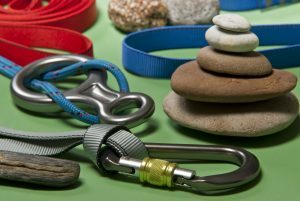 In mountain climbing, having the right gear is essential, while not having it can be life threatening. However, over the past few decades the quintessential” right gear” has evolved, and what was state-of-the-art 10 years ago is now the wrong gear. And to be successful up and down Mount Everest safely, you need the right gear. Advanced behavioral pattern adaptability – this course builds on the introduction to communication adaptability and employs advanced communication adaptability. The essence of this course is the ability to tailor a message based on the recipient. Leading Edge 21st Century Sales Techniques and Communications – along with the art of negotiations to make a difference in your store. Relationship Management training – our CRM training course is not a how-to guide to use CRM techniques, anyone can read a manual. Rather the course is an in-depth look at selling customers through appropriate and regimented touch management elements. Advanced Phone Skills – when 80% of a sales consultant’s efforts involve using the phone, you better equip your team with these new tools. This course equips your team with innovative phone skills, techniques, and guides to turn incoming phone calls and follow-ups into appointments, faster and more often with a greater degree of success! Prospect Follow-Up Management Skills – learn the new best practices to pursue prospects when they don’t buy the first visit along with methodologies in how to and guides to follow where speaking with your prospects on the phone. You will be shown how to get prospects back into the dealership on an appointment with a much higher show ratio. Advanced Communication Adaptability & Relationship Development – this course further utilizes and introduces enhanced communication adaptability to help foster better customer relationship development practices. It will show us how to sell more units and and conclude sales with higher Gross profits. Behavioral pattern adaptability closing – closing a sale is inherently the pinnacle of the sales process, but each behavioral type requires a separate closing style. This class will equip your sales team with the skills to close each of the major behavioral types. Objection handling – an advanced look at how to make the most out of customer objections utilizing new processes and enhanced communications techniques for maximum results. The New and Advanced Steps-Of-The-Sale – learn how to guide customers through leading edge sales processes that changes depending on the actions of the customer. These leading edge steps are a far cry different than the old car guy’s techniques which every competitor of yours is using. We add tremendous differential through these new steps to allow your sales team to be so professional that the prospects will never venture into your competitor’s store. This course couples communications, objection handling, negotiations and prospect personality selling to take your sales team to a higher level than they ever considered possible. Owner Base Management – At the core of every successful dealership is their ability to resell their owner base customers and to receive plentiful referrals. We show you how to achieve remarkable results utilizing new tools for this new era we find ourselves in. These are just a few of the elements you will receive within the Dealership success Guide. We want you to experience great success in your store and that is why we will support you and guide you along the way. If you have any other questions please feel free to contact us, or sign up now to get started! Chuck Barker’s experience ranges from an executive with a Fortune 200 computer company to the automobile business where he has held upper managerial positions. He is the Customer Relationship Management (CRM) specialist for Dealer magazine, the top monthly publication read by dealer owners and management alike. His articles also appear on web sites and in weekly e-newsletters read by more than 70,000 industry professionals. Chuck’s firm delivers business development process strategies, leading-edge sales training, CRM needs assessment/implementation, and management leadership workshops. Chuck is a published author who combines years of valuable and tested experience into this program.